Discover a more collaborative, real-time way to manage construction projects. Construction project management combines the skills and expertise required of a traditional project manager with the always-shifting, fast-paced nature of the construction industry. To be successful, construction PMs must have a wide range of skills and experience to handle diverse teams, multiple stakeholders, tons of documentation, and rigid timelines. In this article, you’ll learn what construction project management is, stages involved, the role of a construction project manager, and the importance of communication through construction projects. You’ll also find helpful resources, including free templates and guides. Construction project management handles the planning, coordination, and execution of a construction project, whether in the agricultural, residential, commercial, institutional, industrial, civil, or environmental industries. 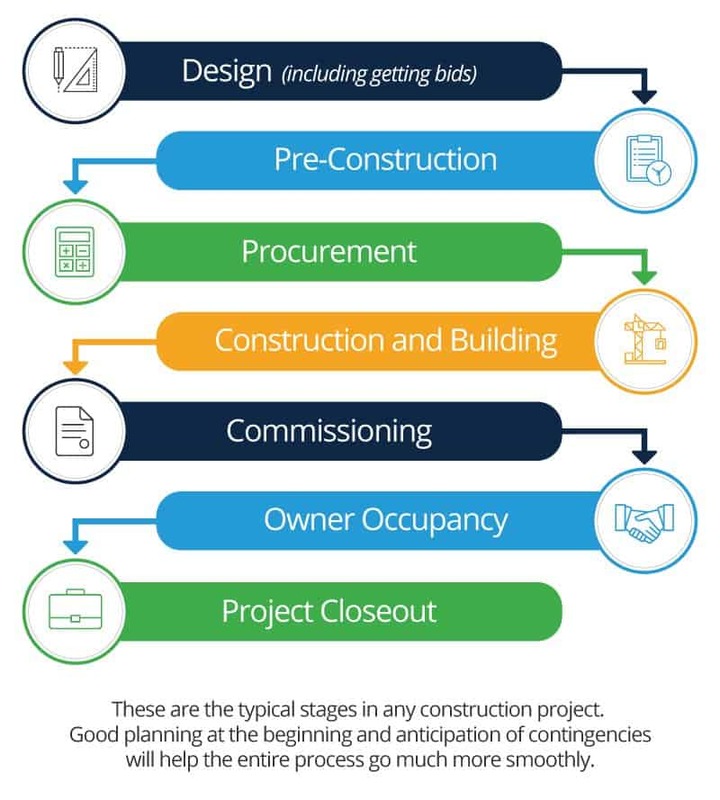 Construction projects typically include hundreds of tasks and multiple phases that require a deep knowledge of the building process and an ability to problem-solve to keep the project on track. Due to the complex, often shifting nature of construction projects, the role of a construction project manager is to keep the project moving according to plan. The goal is to manage the project so that it finishes on time and on budget, while still delivering a final product that meets codes, plans, and specifications. Some of the construction project manager’s responsibilities include project management planning and cost, quality, and safety management. To learn more about what construction project management is including the history, project management principles, and advice from the experts, check out our Construction Project Management 101 article. Construction projects traditionally follow the Waterfall project management methodology. Although, a hybrid Waterfall-Agile method is becoming more common in order to maintain the structure of phase-based Waterfall, with the flexibility to adapt often found with Agile. Project management, in general, requires documentation, not only to keep the project on track but also to serve as a historical reference for future projects. However, with construction project management, documentation can be overwhelming. From project plans to submittals, and daily reports to change orders and progress payments, keeping it all organized can be the difference between projects that closeout smoothly and those that drag on for years. Increase control: Implement repeatable processes for team members and stakeholders to submit and manage documentation. This will help to ensure that teams follow a consistent workflow, so you can better track and manage documentation. 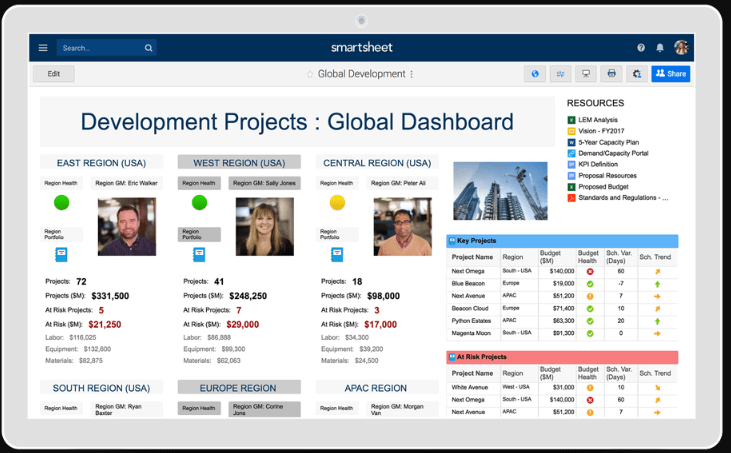 Automate workflows: Reduce manual effort with a work execution tool like Smartsheet, that has built-in process automation and dashboards, to capture and manage all necessary documentation in one centralized location. Use notifications to alert you when new documents are submitted. Keep teams connected: Enable your team to submit documentation, like site inspections, change order requests, and more from the field using their mobile app. Create project specific forms to streamline the submittal process and reduce time spent on tedious documentation management. Create an audit trail: Generate one system of record for all project-specific documentation, and then share it with everyone to help your team and other stakeholders quickly access key documentation. Improve transparency: With a single source of project documentation, you keep work moving forward and make sure everyone is in the loop. That way, when a question comes up, everyone has access to the documentation and can see what decision was made, when, and why. Although the objectives of each construction project may vary, construction project managers ultimately want to build structures that not only meet requirements and look good, but also that win more business. Construction project managers shoulder the responsibility of keeping the project moving according to plan and may also be charged with setting the parameters, finances, and calendar, vetting and managing subcontractors and other on-site workers, resolving conflict, and more. E-book: Are Your Construction Projects at Risk? Across all types of project management, clear communication is among the most important elements. But when it comes to construction project management, communication is essential to every phase of your project, and ultimately to your success. Sharing good news and bad news in a timely manner is equally important when preparing and implementing a build. That’s why you need to establish a flow of communication with everyone — whether in the field or in the office. This transparency will make the process smoother and reduce the number of emails and phone calls whenever issues arise. An easy way to set up this flow of communication is by creating one location for project planning and documentation that all key stakeholders have access to. That way, if a question comes up, your team can reference the project plan, see comments and correspondence in context, and monitor status, budgets, and changes as they occur. Additionally, be sure that teams in the field can access this single source of the truth right from the job site. Remote access will significantly reduce delays and project closeout timelines, by enabling teams to update status, submit punch list items, and attach documentation from their mobile device.